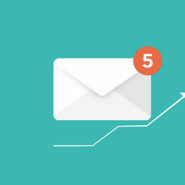 Email marketing has been touted as the main driver of acquiring new customers. If you want a higher ROI yield of the entire marketing channels that you are currently using, you should be aware of the marketing concepts that you can take advantage of. You should utilize the best practices in email marketing if you want to ensure a good return on your investment. Here are some additional tips that will enable you to stay on top of your marketing efforts. You might be using a template in your website design or you may have a web designer to do it. Whatever is the case, you need to check if the design of your website is in harmony with your overall product or service brand. It is very confusing for the recipient of your email to open your letter and never have any clue about where it came from and what the email is for. When your target customers click your link, they should be able to get a smooth experience and know exactly what they are getting into and where to get there. You should always check your metrics. This is the best way you can get an idea as to how frequent your target audience wants to be contacted. But there is a more effective way to get a hold of this information: let your target customers tell you by using a preference center. This is an effective tool that can help you sustain the correct expectation between you and your recipient. If you use anyone of these preference centers, you will be able to provide your recipients a choice instead of just getting out entirely of your email list. That means you can still retain them in your list, for further use. Most recipients of unsolicited emails are wary of the things that they receive in their mail boxes. That’s only natural because many unscrupulous individuals and organizations are sending spams and promo content that are designed to compromise the systems of their recipients. Therefore, before asking anything from your target audience, provide them something first that will be of value to them. The free offer could be in the form of a free trial or a coupon or a discount code to something that you are offering. It could also include a free download of content discussing free tips on products or services that are aligned with your brand. All the interactions that you will have with your recipients should have value to them, not to you, if you are to get their confidence that you are not just communicating with them to get something. Give them something first and they will respond more positively with whatever you are offering. Inevitable mistakes can happen, but they should be kept to the minimum. That is why you need to use a checklist before sending your first email marketing in every marketing campaign that you will undertake. You also need to have a plan that will contain the resulting problem should you commit an inadvertent mistake. You need to keep your email list updated. Check who among the contacts are there in your list for two or three years. Retain those who have responded to your email marketing campaigns but strike out those who have long been there but never reacted to any single one of your letters. One useful tip is to monitor your list regularly by using a metrics system.